We thought we were alone in the wilderness. Not completely, of course. We knew there were others out there like us. But never did we think that a post-apocalyptic cable show featuring walking corpses had a fighting chance to appeal to anything more than a niche audience. How wrong we were. The Walking Dead even trounces more seemingly mainstream broadcast favorites like The Good Wife (11 million viewers) or Scandal (10 million viewers.) 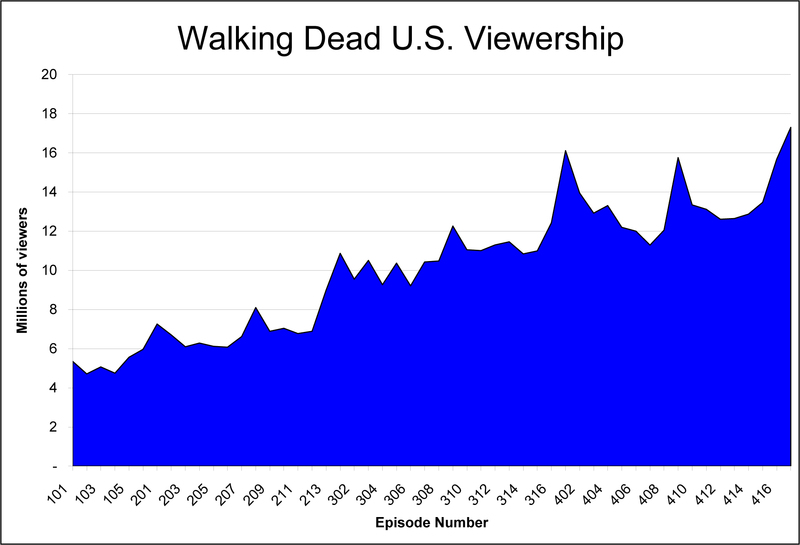 And unlike those shows where viewership has plateaued and even declined over time, The Walking Dead keeps adding bodies – um – I mean fans, year after year. When the show debuted in 2010 it attracted five million viewers, a respectable number to be sure. 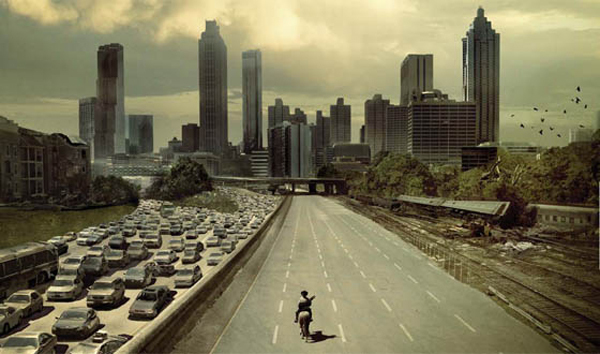 Four years later, the number of people tuning in to The Walking Dead dystopia has more than tripled. At this point it’s fair to say that the zombie horde is taking over television. And they’ve done it without pulling any punches. Nothing on The Walking Dead is sacrosanct. No character is safe and no topic is taboo. And I think that is part of the show’s appeal. At its best, The Walking Dead delves deeply into the kinds of moral dilemmas that would be an unavoidable part of struggling to survive in a hostile world where civilization has completely broken down. In the world of The Walking Dead, our current concept of right and wrong, good and evil, is challenged every single day. It’s a world where staying alive and retaining even the slightest semblance of your humanity are often at odds. Each episode confronts viewers with a disquieting question. It’s a question that always lingers in the background but is never explicitly asked: What would you do? The answers are always hard and often ugly. The well-written characters of The Walking Dead are given more than enough leeway to explore all their options. Watching how they develop over time as a result of those choices makes for some of the best storytelling on T.V. That’s why, despite the show’s often gratuitous violence and graphic gore, zombies are taking over your television. And if you happen to be traveling like us, you don’t need to miss a single episode. Check out our primer on How to Stream U.S. Television While Traveling Abroad.